Last night, Nicki Minaj teased an upcoming collaboration with Quavo from Migos that could be produced by London On Da Track. 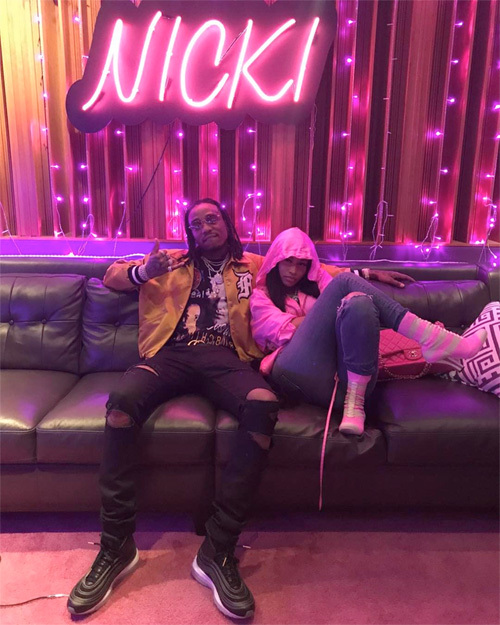 The Young Money Barbie shared a few photos of herself with Quavo and London in her studio on Instagram. You can see the photos after the jump below! Would you like to hear a Nicki and Quavo collabo? Reginae Carter stopped by V-103 radio station last week in Atlanta along with Zonnique Pullins and Shaniah Mauldin to chop it up with Big Tigger. 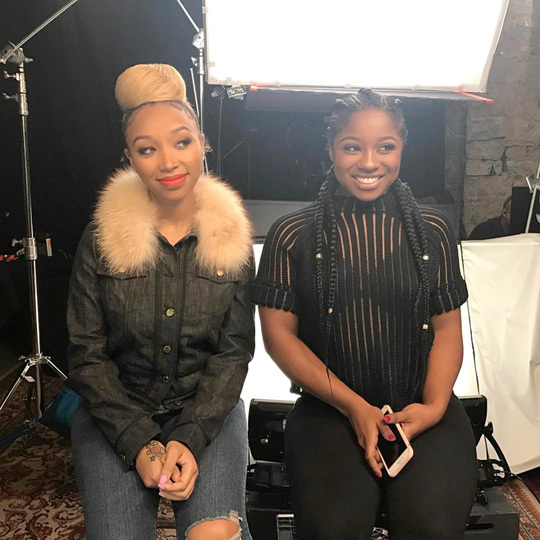 The girls talked about what it was like working on “Growing Up Hip-Hop: Atlanta“, what it is like having famous parents, and more. You can check out their conversation in a video after the jump below! Yo Gotti recently previewed his upcoming collaboration with Nicki Minaj that will be called “Rake It Up“. The CMG record label founder teased the song on his Snapchat during a private boat party. Gotti and Nicki previously worked together on the “Down In The DM” remix! You can check out a few Snaps where we can hear “Rake It Up” playing in the background after the jump below! 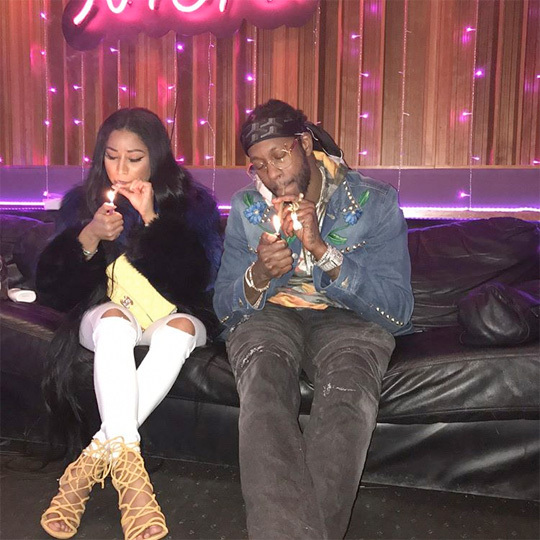 A couple of months ago, 2 Chainz shared photos of him in the studio working with Nicki Minaj on a new song for his Pretty Girls Like Trap Music album, due to be released on June 16th. It has now been confirmed that the Young Money Barbie will be on Tity Boi‘s upcoming project as the tracklisting was released and Nicki is featured on a song called “Realize“. Chainz and Drake‘s “Big Amount” collaboration, which was released last summer, will also appear on Pretty Girls Like Trap Music! The Weeknd brought out Drake during his “Starboy: Legend Of The Fall Tour” at the Air Canada Centre in Toronto, Canada on Saturday (May 27th). 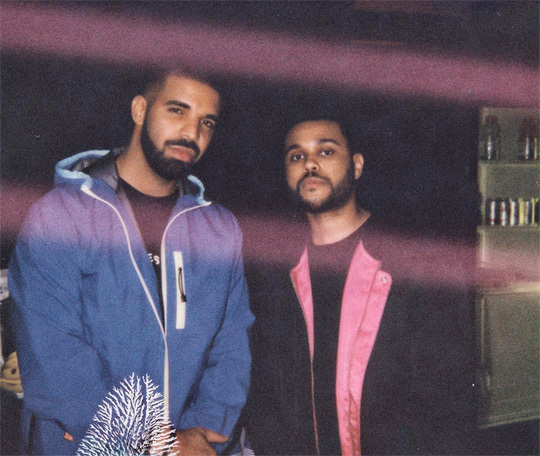 The OVOXO founders performed their “Crew Love” collaboration off Take Care live for everyone in attendance at the concert. You can watch some footage of it all go down in a video after the jump below! 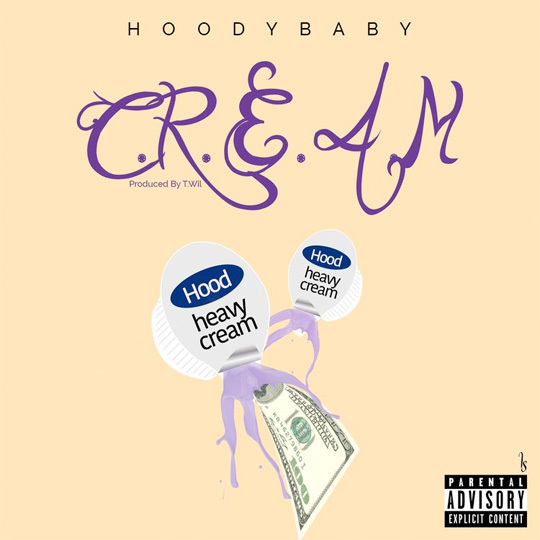 Here is a HoodyBaby song called “C.R.E.A.M.” that was released earlier this year back in January. You can view the artwork above and stream the T.WIL-produced track after the jump below!